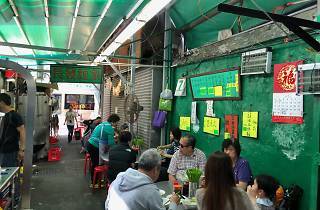 The large colourful menu on the wall shows but a few options: noodles, noodles with pork knuckle, fish balls, and fish balls with noodles. But that’s okay – because Cheung Fat is famous for these classic dishes. 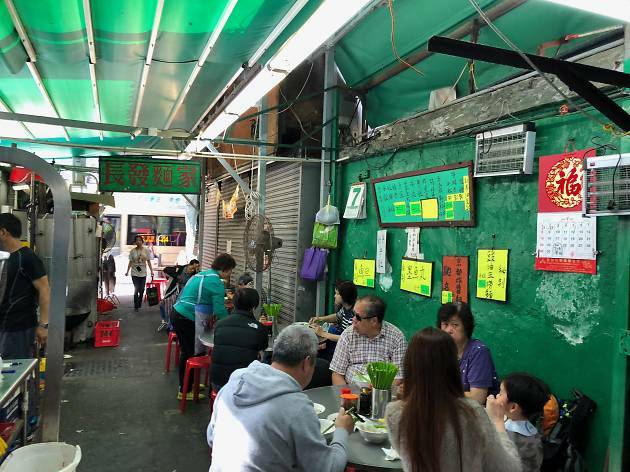 Middle-aged locals and the odd Filipino maid pack into this pavement stall to enjoy the toothsome noodles – made with “special” (MSG-laden) soy sauce and yummy pork fat.